Have you ever changed your signature scent? Or have you been content with the same fragrance for years? Are you still on the search for your signature scent? This week's video gives you an update on my own perfume journey and announces my new signature scent (hint: there's a twist to this story). My dear blogging friend, Tish Jett, from A Femme d'un Certain Age has just published her book, Forever Chic. 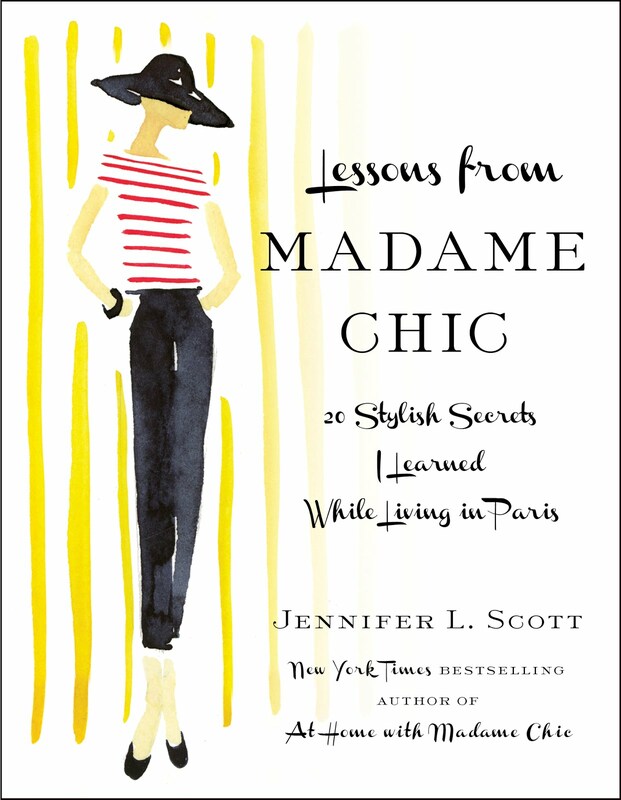 Tish was kind enough to share Lessons from Madame Chic with her readers when it came out, and now I am so happy to be able to mention her book to you. Aimed for women over 40 (and all who are interested in aging gracefully), this book is sure to delight Francophiles everywhere. Tish's book dishes out many French secrets and shares her own chic journey as a woman of a certain age. Tish and Rizzoli are kind enough to offer to give away one copy of Forever Chic to a reader of the Daily Connoisseur. This giveaway is open worldwide so all of you can enter. Please enter via the rafflecopter widget below. The winner will be announced on the widget one week from today. 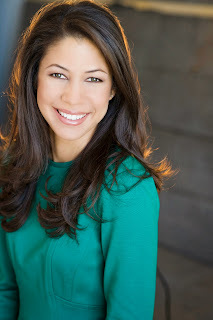 For more on Tish, visit her blog here and check out her book here. Bonne Chance! I've been playing around with makeup recently and wanted to share some new finds I absolutely love. So here we go! I normally either wear tinted moisturizer or mineral foundation and was looking for something heavier for when I need more coverage. I've always loved CHANEL makeup and this foundation is no exception. I love this eyeliner and eyeliner brush! My friend, Bex, first used it on me for the Rayli photo shoot I did recently and I fell in love with it. I never thought I could apply a gel liner but, it turns out I can. I'm having fun experimenting with the different variations on le no makeup look "defined eye" (my favorite!) I can achieve with this liner. I highly recommend it. This is one of those fun products to experiment with. I love Hourglass (their tinted moisturizer is awesome) and these ambient lighting powders give your face the effect of being seen through various shades of light. A lovely "no makeup look" shade, perfect for that natural, rosy lip. This week I would love to know... what are your new makeup loves? I'd like to say thank you to the students of Harvey Mudd's Entrepreneurial Network for being such a great audience last week. The talk focused on my experience as an artistic entrepreneur. I hope I inspired some young entrepreneurs to get passionate, take control of their careers and to let their darkest moments raise them up. Thank you, again, to Harvey Mudd for hosting such a fantastic event! I will share my insights (and hopefully an edited video of the talk) on a future episode of the Daily Connoisseur. Hear my thoughts on yoga pants, marriage and the fabulous Madame Chic in this interview for Feather Factor. 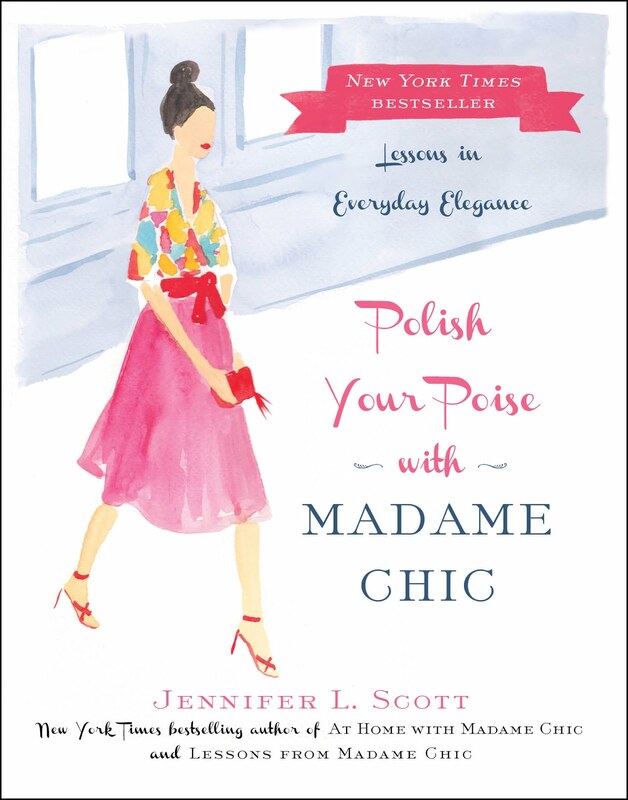 Lessons from Madame Chic is not just for women. Check out this awesome review from M. Lane's Epic blog on why men should read it too. High praise from a true gentleman. 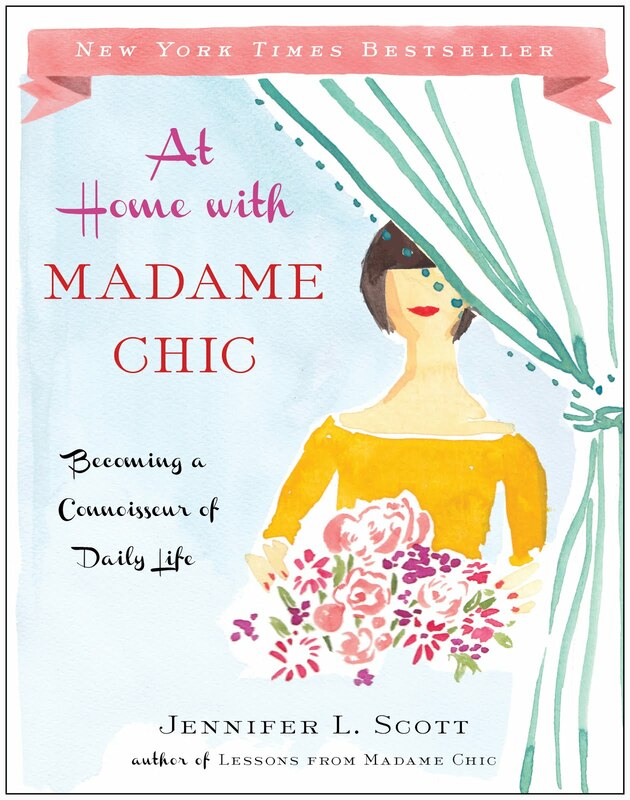 Metaphysical author, Tess Whitehurst, recently contacted me to let me know how much she enjoyed Lessons from Madame Chic. I was tickled to hear from her because I've really enjoyed her insights on feng shui in her books, Magical Housekeeping and The Good Energy Book. 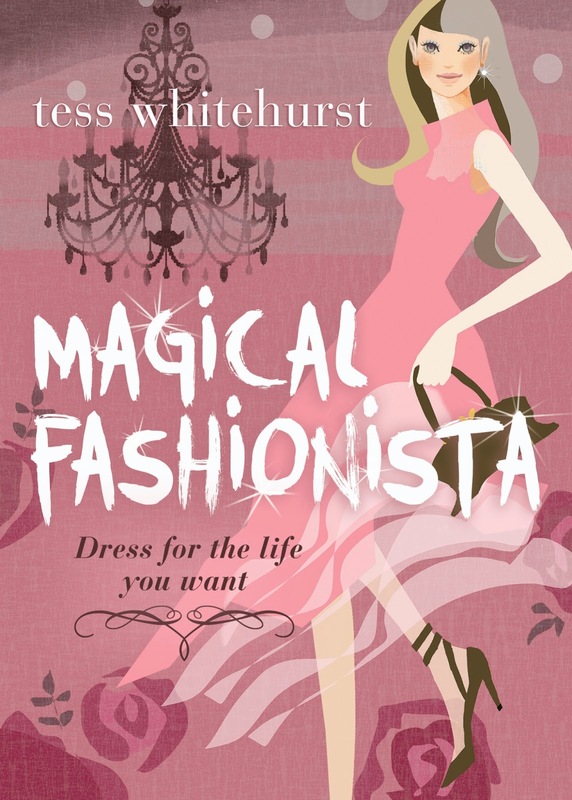 Tess recently came out with Magical Fashionista: Dress for the Life You Want and she was kind enough to offer to give away one signed book to a reader of the Daily Connoisseur. Drawing on astrology, feng shui and psychology, this mystical guide shows how fashion with intention can be a powerful and life-affirming practice. Now I must mention that this is not a traditional style guide in any sense of the word. It discusses moon signs, horoscopes, rituals, fashion spells, crystals and mystical concepts of that nature and relates them all to fashion (which is why I thought this would be a perfect giveaway for the month of October!). So while some of the concepts in this book aren't for everyone, if you are interested in metaphysics, you'll certainly gleam joy and insight from it. I also find that this book is substantial enough that you can easily absorb what interests you (I'm a cancer and really enjoyed reading about how fashion relates to my water sign) and leave what doesn't pertain to your lifestyle or beliefs. "In this satisfying and unusual style guide...Whitehurst examines the metaphysics of fashion and its potential as a personal art project...Though Whitehurst instructs readers to "stand like a celebrity" and "walk like a supermodel," it's obvious that readers are meant to think of themselves on the same playing field, not as inferior beings...sure to be welcomed by the open-minded fashion lover." This giveaway is open to US residents only. Please enter via rafflecopter below. I will announce the winner on the rafflecopter widget one week from today. Good luck! 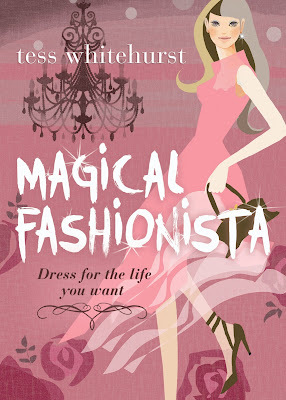 For more on Tess Whitehurst, visit her on Facebook and Twitter.